A Mac Shack is an immaculate new home built gulf front on C30A just past Cape San Blas Road in the Brighton by the Sea neighborhood. 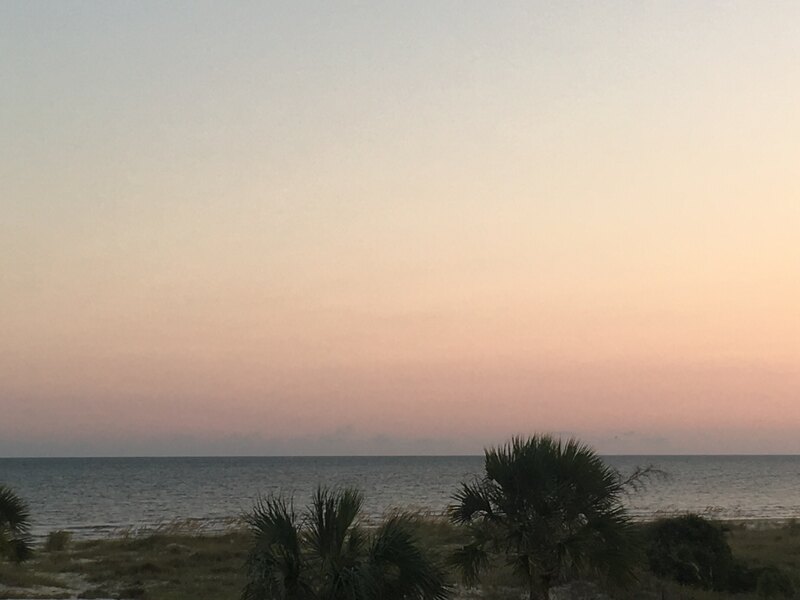 Not only are you steps away from a peaceful stretch of Indian Pass beach, you also have access to the gulf front community pool. With great design and tasteful beach decor, by the end of your stay you’ll find yourself wanting to call this place home. There are 3 levels; the 1st floor with 2 bedrooms, the 2nd floor with your open living space and the 3rd floor with a private master retreat. It doesn’t have to be too private though if you’re bringing little ones along because there is a separate sleeping area that can be closed off from the main one. 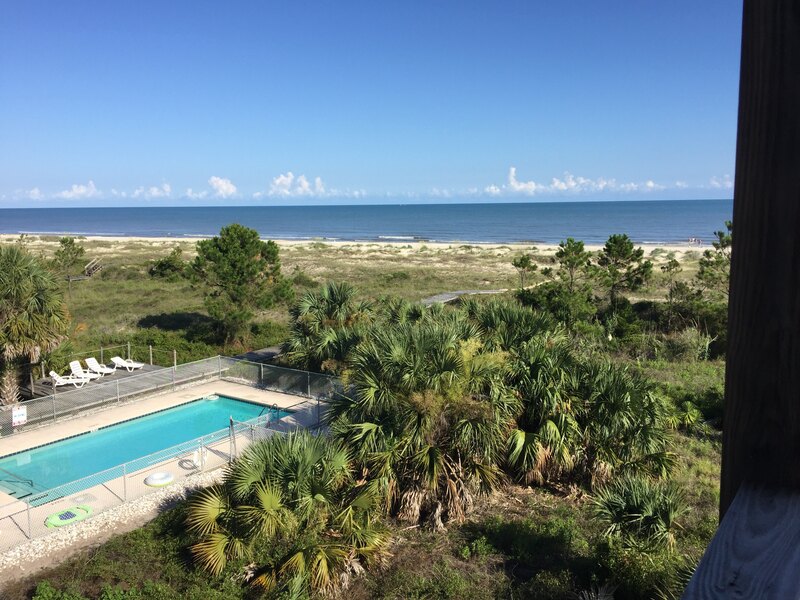 All 3 levels are complete with gulf front decks and beautiful gulf views. There are whimsical odds and ends and attention to detail that makes this a fabulous beach home. A Mac Shack is so much more than that, take a break and see for yourself. Floor Plan: 1st floor – Bedroom 1 – queen bunk beds, TV, Blu-ray, large closet and full bath with shower/tub combo; laundry closet and Bedroom 2 – gulf front master bedroom with king bed, TV, full bath with shower only and a gulf front deck with an enclosed outdoor shower and beach/pool access. 1st floor – kitchen with granite counters, stainless appliances including a stand-alone ice maker and double oven, a large island with bar seating and easy-close cabinets and drawers; half bath, dining area and gulf front living room with TV, Blu-ray and gulf front deck with dining table. 2nd floor – top floor master bedroom with king bed, large flat screen TV, a separate space that can be closed off that has a day bed, trundle and a desk; gulf front deck, spacious walk-in closet, large master bath with double vanities and walk-in shower. Simply an awesome place. Had great time. Perfect weather. The house is beautiful. I really enjoyed staying there. The small room off the upstairs master was a perfect child's room. The only issues we had was the wifi was unreliable and the house was not ready by the 4:00 check-in time. We did not get in until 5:45. But had a great time after that. Thank you for your feedback on your stay and the property. We apologize that we were not able to have the property ready at 4pm as targeted. This why we have a 4-6pm window for check-in because in the course of a day things can happen that put us behind schedule no matter how hard we try. This was such an amazing experience staying at the Mac Shack this summer! So close to the beach and the beach was never crowded, except for the shells, sea shells are everywhere! Kids loved it, the grown ups loved it. Bicycles ride excellent on the beach and we were swimming and riding and having a great time all week. The house in particular is perfect for any size family. Appliances were all state of art, all the way down to the fixtures and faucets throughout. There's a dedicated ice machinge! Not an ice maker part of the fridge, an actual ice machine, which on the beach is perfect. 3 decks which were so scenic and comfortable to hang out. The pool is RIGHT there so we could watch the kids from the deck when we weren't swimming ourselves. Just a really all around wonderful spot for a vacation. Very close to Mexico Beach and Appalachicola, which we went to for dinner at times. Book a vacation here, you won't be dissappointed! The house is beautiful and clean, but could use more comfortable seating. The pictures on the website do not match the balcony furnishings. Our overall experience was great. The beach was beautiful and never crowded. The pool is wonderful and very relaxing. Put the Forgotten Coast on your bucket list to come visit. The property was beautiful, clean, and had plenty of space for the four adults and two kids on this trip. The location is very convenient to just about everywhere, yet the beaches were still wide and lonely. 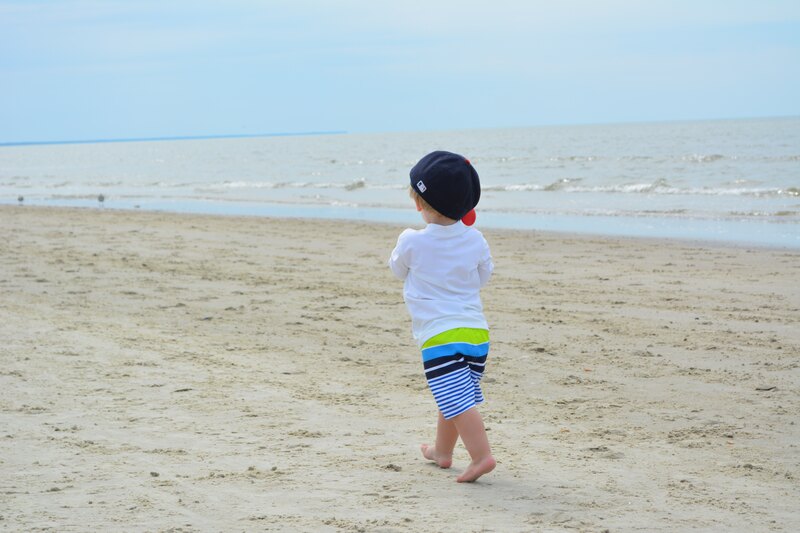 The kids had a blast in the water and enjoyed searching for sea shells, crabs, and other wild life. The ENCLOSED outdoor shower and separate ice maker were great perks. We would stay here again in the future. If I had any suggestions to the property owner, it would be to upgrade the living room furniture which is in good repair, but was not the most comfortable. We had great weather, so this was a non-issue, but I could see it becoming one should a couple of rainy days impact your week. Great news, the owner has taken your advice, the living room furniture has been changed for comfort. Thank you for your feedback! We love A Mac Shack! The colorful front door immediately creates a happy welcoming feeling and sets a precedent for the tastefully decorated interior. This beautiful beach house offers many wonderful features. We especially enjoyed the top floor master suite, the kitchen, and the outdoor shower. The use of the community pool, which is conveniently located only steps from the house's deck and right beside the beach boardwalk, is the little extra touch that makes this house the perfect home away from home! We cannot wait to rent this house again soon!